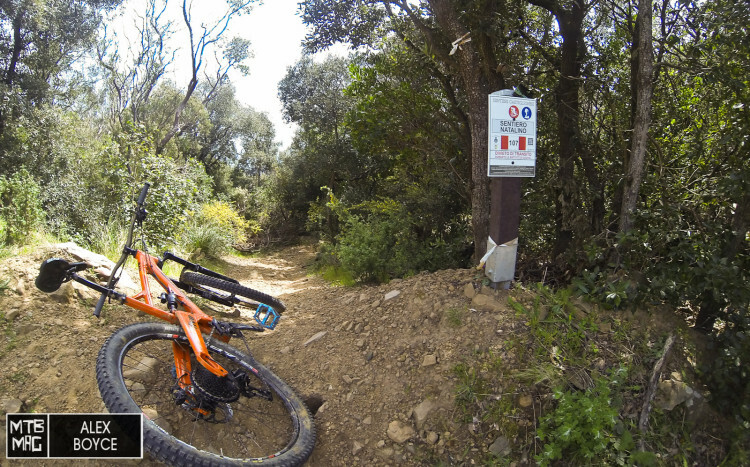 We finish our spring trail hunting series near Punta Ala with a really cool twisting trail called Natalino. 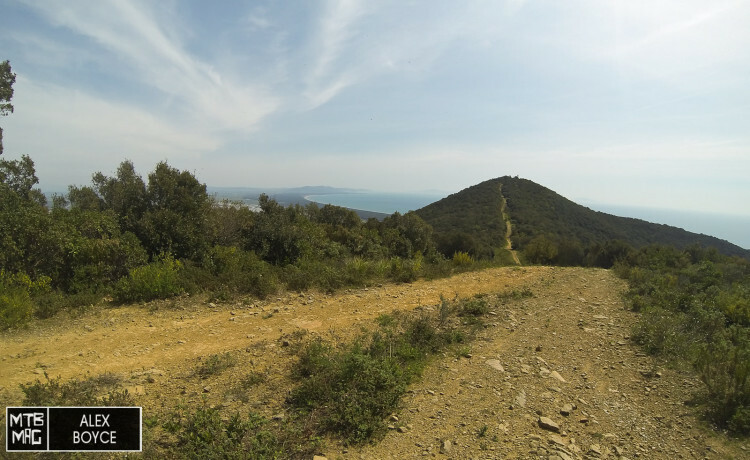 A brand new trail that has just been cut, it is close to Punta Ala our test center, above the town of Castiglione della Pescaia. The trail is 3.6 km long an drops down around 400 metres. It is characterised by many tight corners and a smooth trail bed. 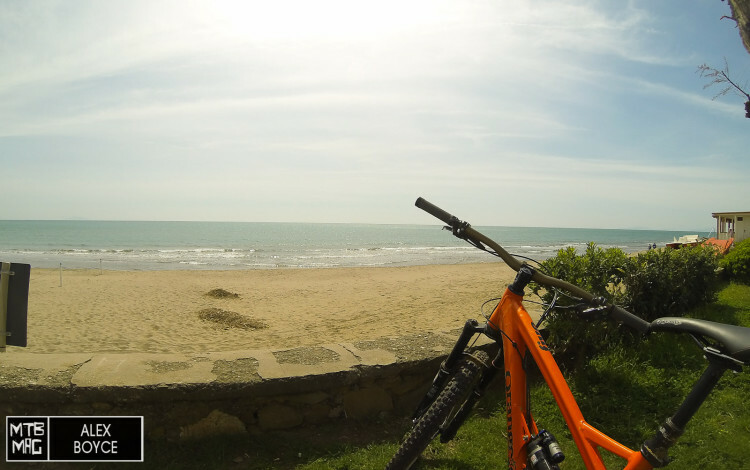 It is ideal for easy going riders all the way up to pro- riders. On the map above (scroll around) it is marked and starts near Poggio Petriccio. You can get up there by riding up near Via del Cinghale. Follow the link to download the GPS tracks GPS tracks. 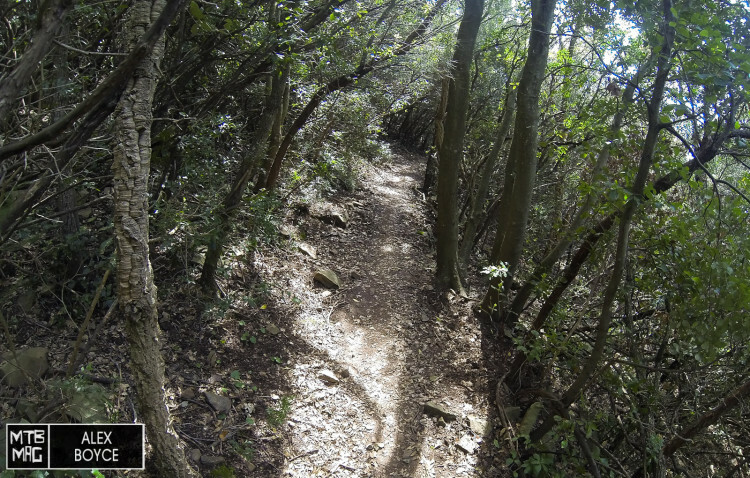 Watch the video to see what it is like to ride the trail. Natalino Enduro Trail from MTB MAG on Vimeo. The entrance to the trail is clearly marked. With open views at the top, the trail snakes it’s way down the hillside to the beach area. The trail is a smooth carpet through the woods. It’s impossible to forget the end of trails with these types of views.